Accused double-murderer Susan Monica fed dead pets and domestic animals to the pigs she kept on her rural Rogue River farm, where the dismembered bodies of her two alleged victims were found, a former tenant says. Patiphon Pana said Monica not only fed dead sheep to her pigs, but she also shot and killed two of his dogs and one of his cats and fed them to the swine near the end of his three-year stint renting a room at Monica’s 20-acre farm. “When she killed my dog, I asked where it was and she said, ‘In with the pigs,’ ” Pana told the Mail Tribune on Thursday. When Pana told his friend Shawn Grigsby about the pet deaths shortly after they occurred in early 2012, Grigsby said he was afraid for the 49-year-old Thai national with poor English skills. “I told him, ‘Dude, you gotta get out of there,'” Grigsby said Thursday. Jackson County Sheriff’s Department spokeswoman Andrea Carlson said she couldn’t say whether investigators believe Monica’s pigs played any role in the alleged crimes. 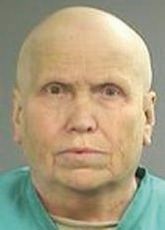 A 65-year-old welder, Monica was indicted Tuesday on two counts each of murder and first-degree abuse of a corpse as well as one count of identity theft. She is accused of murdering Robert Haney, a 56-year-old handyman and tenant, on the property in early September and another unidentified victim in early August 2012. She also is suspected of using Haney’s Oregon Trail card without him being present, and investigators’ Jan. 3 search of Monica’s farm on that case led to the discovery of the bodies, sheriff’s investigators said. Authorities said Thursday that Haney was positively identified Wednesday when his fingerprints were matched to the FBI’s National Fingerprint Database. The second victim has not been identified. Investigators have refused to say how they believe the victims were killed or describe the conditions of their bodies, only to confirm they were dismembered as defined in the corpse-abuse charge. Pana said Monica kept several pigs on the property at 9184 West Evans Creek Road, including one large boar that died when a tree fell on it. She often fed them food she collected at local food banks, Pana said. Pana was already a trained welder when he moved onto the property in 2009 and helped Monica weld gates and fences before he started paying rent. He said he rented a room in Monica’s house, knew of no other tenants and was rarely at the farm because he worked two jobs. Monica scared him once when he heard her fire three gunshots when chasing away at least one man who entered her property to get money from her, said Pana, who said he did not see the shooting nor know what kind of gun was used. Grigsby said he was on Monica’s property helping Pana several times, saying it was largely messy and usually inhabited by Monica, a burly woman who always wore a welder’s cap. Monica’s Jackson County Jail record lists her at 5 feet 11 inches tall and weighing 260 pounds. “You could see it in her eyes — a weird lady,” Grigsby said. Linda Newsome, one of Pana’s co-workers at a Grants Pass shop where they assemble toys for pet birds, also said Pana told her of the pet-killing incidents shortly after they occurred. “We were telling him to get out of there a lot,” Newsome said. Pana, who is known by his friends as Pon, said he bought his own house and moved off Monica’s farm in May. “You ask me, Pon is the luckiest guy around,” Grigsby said.